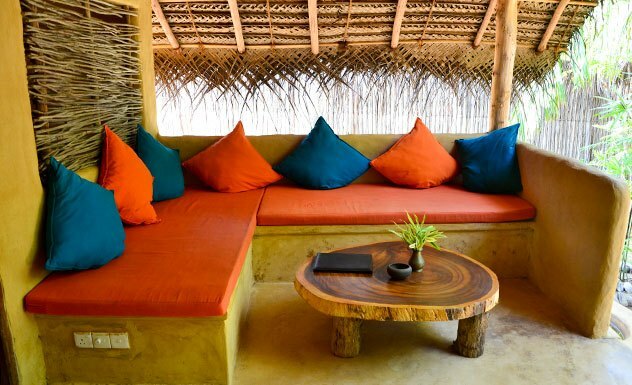 Bar Reef is a low-key yet stylish beach resort with a rustic feel to it. 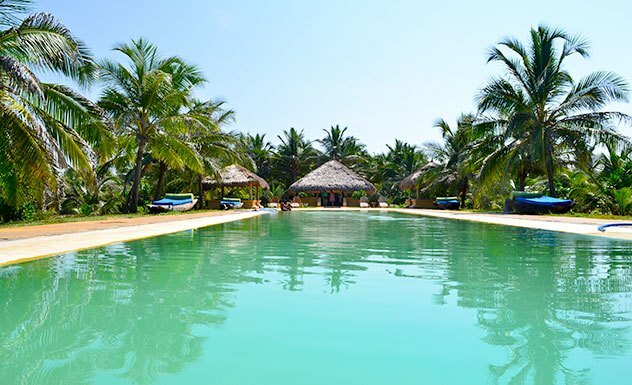 With a large salt-water infinity pool at the front, it also has a beautiful ambalama standing majestically at the far end and smaller ones on either side. 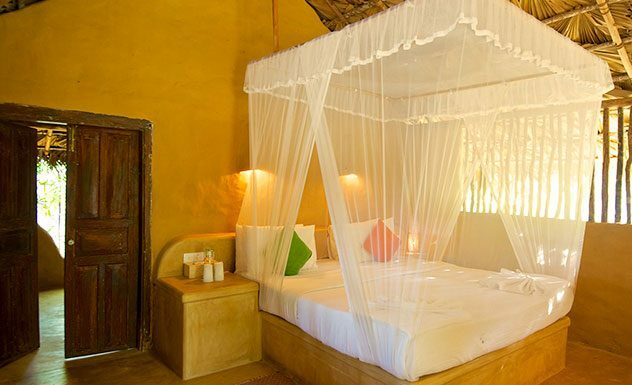 The six mud cabanas as well as the two larger villas are situated off a walkway lit up with gas lamps at night. 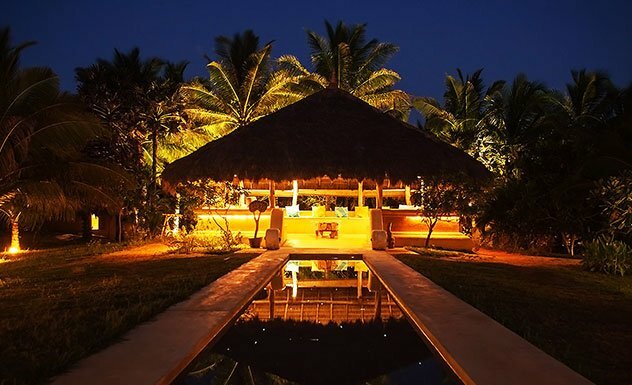 Enjoy dips in the infinity pool at night, which is lit up with lights in the shapes of star constellations and long walks along the beach. Enjoy diving and snorkeling over Bar Reef, and head further out to sea to marvel at hundreds of spinner dolphins. If you are lucky, you may also spot blue whales and sperm whales, which swim these waters between October and April. 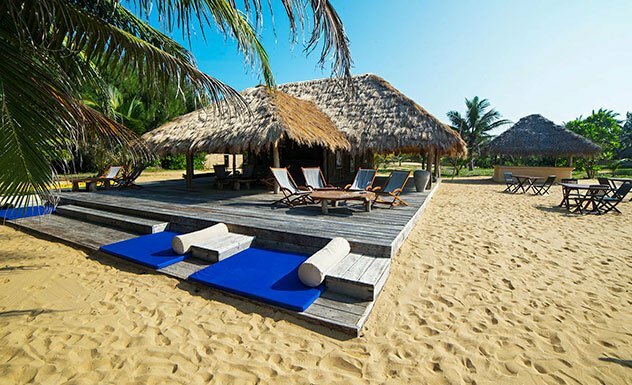 Bar Reef has 11 cabanas; seven Garden Cabanas and four Beach Cabanas, and two villas, all set in their own private gardens. NOTE: On the coastline, approximately 4km from the hotel, there is a major power plant, which can be seen from the beach. We have been working with all the hotels in the area since the inception and to date a very small number of people have brought this to our attention. In order to better manage the expectations of our clients we feel it is important to mention the fact. Inspired by traditional designs, each cabana comes with its own quarter-acre garden. 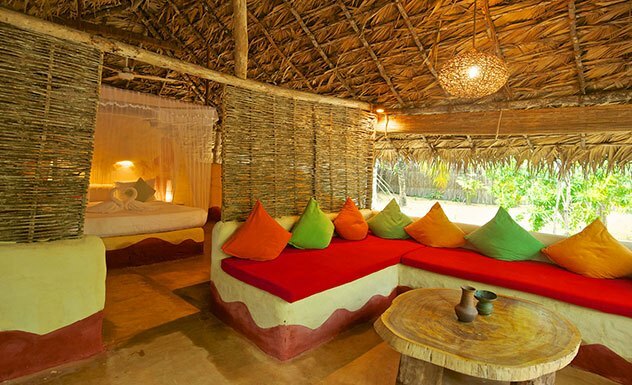 The bedroom that opens out on a front porch complete with a seating area. Both the individually enclosed and open-air bathroom and shower are fitted in the private garden, set in a palm enclosure so you can shower in privacy with only the sky above you. 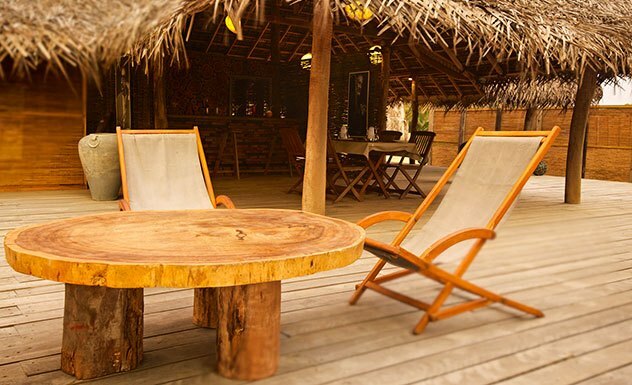 The villas are homely and private and are ideal for families or a group of friends. 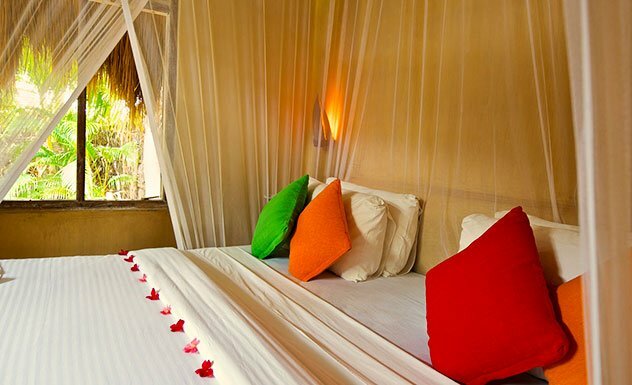 The Samara Villa consists of two bedrooms and many sofas that can be converted into beds. 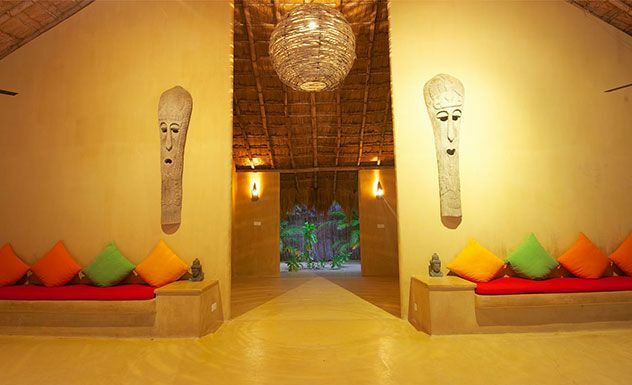 Thala Villa has two bedrooms as well, complete with tropical garden showers. 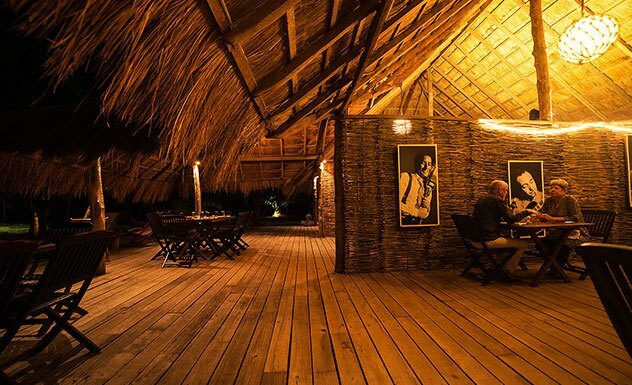 Meals are served communally in a buffet layout in the main ambalama/pavilion. The Sri Lankan cuisine is delicious with a range of healthy dishes including vegetable curries, flat breads and much more. 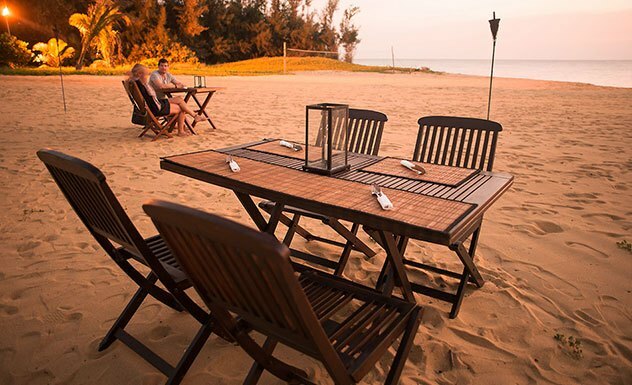 There is also a barbecue some evenings and a small a la carte menu to order lunch and dinner from. For breakfast, expect an array of tropical fruits as well as other tasty dishes. 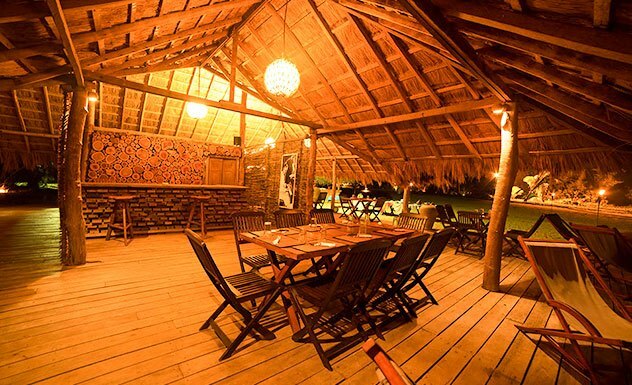 Bar Reef is family friendly and welcomes children.